Something I didn’t remember was the strife between the husbands and wives in this film, which trickled down to the children. I realized that the children were literally shrunk in the film, but they were also figuratively shrunk, as well. The two fathers, Wayne Szalinski (Rick Moranis) and Big Russ Thompson (Matt Frewer), were men that were consumed with themselves. (I also need to add that Disney remains consistent in degrading men – they are both buffoons.) Wayne is a scientist who ascends into his laboratory (attic) to the neglect of his entire family. While I’m sure he loves his children, he often doesn’t even make conversation or eye-contact when interacting with them. Conversely, one could say that Big Russ gives too much attention to his boys – specifically, the oldest, Little Russ Thompson. In fact, one could say that Big Russ harasses Little Russ. Big Russ is obsessed with his former athletic prowess and pushes his son to be just like him, without a care for the lack of gifts his son may have. Therefore, Wayne and Big Russ have both “shrunk” their kids, in a sense. It isn’t until the kids are literally shrunk, that the two fathers realize their errors and swear to change. Sadly, we know this is true of our own lives. While we may not possess a laser in our attic with the capabilities of shrinking our children, we often shrink them and their concerns for our own. Because of sin, it turns each and every human inward. Instead of being focused on others and their needs, we look to self. Sin makes it unnatural to love others, which shows the significance of the first two commandments and our need for Christ. 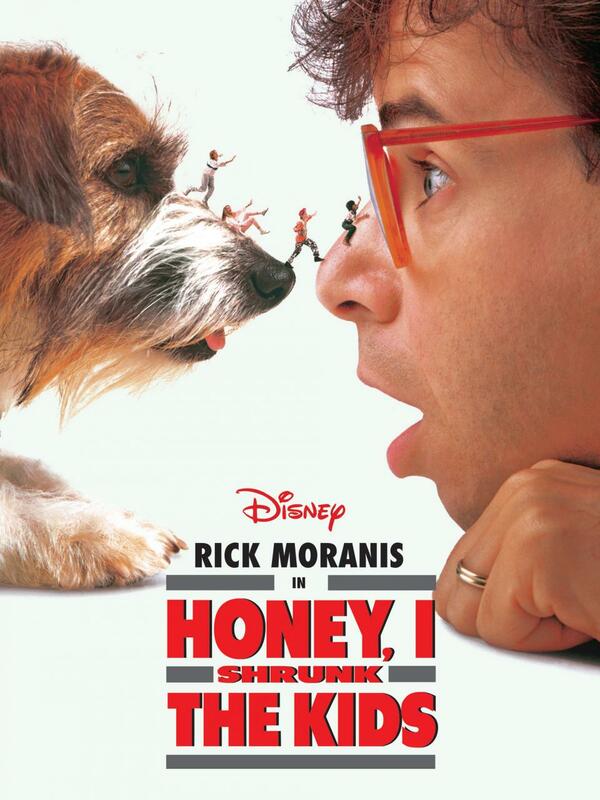 Although Honey I Shrunk the Kids focuses on fathers, we know mothers fall into the category of selfish living as well. The question for each of us is this, Are we more prone to the distracted, isolated Wayne, or are we prone to the overly critical, vicarious, mind-set of Big Russ? How do you find yourself shrinking your kids? If you have no children, how do you shrink others around you? Bosses? Employees? Neighbors? Spouses? Friends? Strangers? Homeless? Orphaned? Widowed? We are all well-aware that the current culture is one of distraction. The primary distractions come from the screens we carry around in our pockets and purse. And, when we’re not carrying them, we’re passing them off to our children to distract them for a moment’s peace. Bluntly put, we are masters at shrinking each other. Praise God, he was one who was others-minded. He sent one who did not count equality with God as something to be grasped. He was one who looked out for the interests of others. And, He was one who became nothing – or, shrunk – to ensure a bunch of “nothings” could be called children of the Most High.